Is it time for you to replace your old roof? Has your roof sustained horrible damage because of the recent wave of hailstones or other terrible weather conditions? Are you planning to sell your property at a high value? Most homeowners generally open up to the idea of replacing their roofs only after spotting a leak in their ceiling. The leak could be possibly caused due to various roofing issues. So, what are some of the red flags you should look for? If you see the shingles being gnarled and cracked, you’re nearly past the point of no return. You should pay particular attention to the slopes of your home that receive direct sunlight and see if the shingles are losing granules and curling. It is essential for all the shingle “tabs” to be intact. If you witness the shingles buckling and curling, chances are that they are well past their life expectancy. In addition to that, it could also mean that the roof is defective. During such times, you should get your roof fixed or replaced immediately. Are the roof shingles missing or falling apart in this particular area? It is essential for all the shingle “tabs” to be intact. If they are missing or falling apart, it is high time for you to replace your roof. Ask any expert around—valleys are arguably the most essential areas of your roof. The valleys play an instrumental role in ensuring that the heavy rain and snow flow into the gutter. Hence, if the valley is compromised, you may very well be facing roof leaks. It is of paramount importance for you to focus on your chimney flashing area, too. If your flashing has tar or roof cement, or if it is missing, rusted through, or falling out, it is perhaps time for you to upgrade it with a long-term, durable, and reliable solution. It is a good idea to install new flashing when you install new shingles; doing so helps it last as long as the new roofing. Do you see shingle granules in the gutters? It is a well-known fact that roofs tend to lose shingle granules during the twilight of their life cycle. If you want your roof to be impenetrable, it is essential for you to ensure that the shingles are in good condition. These granules are important not only for appearance but to protect the material of the shingle from harmful UV rays. 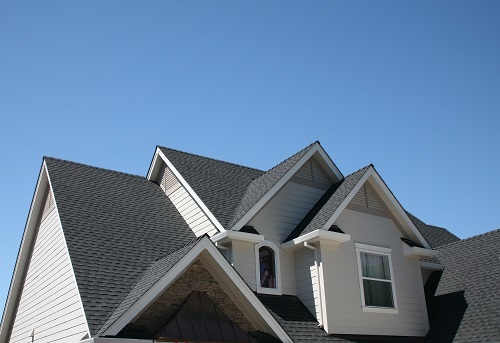 Inconsistent or darker color on some parts of the roof is a tell-tale sign that some granules have worn away. As a last resort, you can get on the roof and give it a tactile test of its structural integrity. You can also find a lot about the condition of the roof by walking on it. If you get a spongy feeling or a trampoline bounce when strolling on the roof, chances are that the underlying decking is weakened because of excessive moisture. It should go without saying, but stop putting your weight on these weak spots as soon as you feel them. You should also head to your attic and see if there is any daylight passing through the roof boards. It is also imperative for you to check for moisture in the insulation. If any of the structures have been compromised, they will need to be repaired or replaced. Use common sense when deciding whether it’s time to replace your roof. If it looks or feels old, or if there are clear leaks, consult with a roofing contractor to see if a repair will do the job or if an entire replacement is needed. A roof replacement can be a big undertaking, but it is ultimately worth it for the protection a well-built roof provides. It’s also essential to remind you to be extra careful when selecting a roofing contractor to work on your roof. There are plenty of roofers available for hire, so choosing the ideal contractor can prove to be a challenging task. Fortunately, there are things you can do to increase your chances of hiring the roofing contractor that meets your needs. 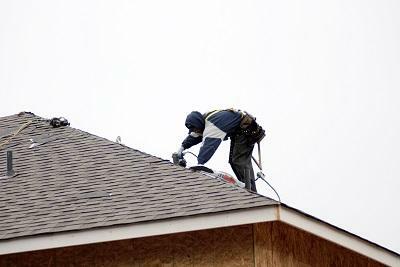 When selecting roofing contractors, you should typically lean towards hiring local, midsize contractors. That´s because, unlike national companies, local and midsize contractors solely rely on the success of their business for sustainability. We also believe that it is imperative for the shortlisted roofing contractor to possess liability and worker´s compensation insurance. You should do your homework and double check with the insurance carrier to know if the insurance is still active. 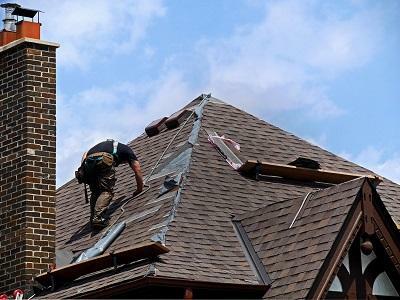 By doing this, you can rest assured knowing that a section of the cost of the roof and the service given to you is protected with some sort of coverage. It will also help if you search for reviews online. By reading through unbiased reviews and responses from customers, you will get a better idea of how a particular roofing contractor operates.